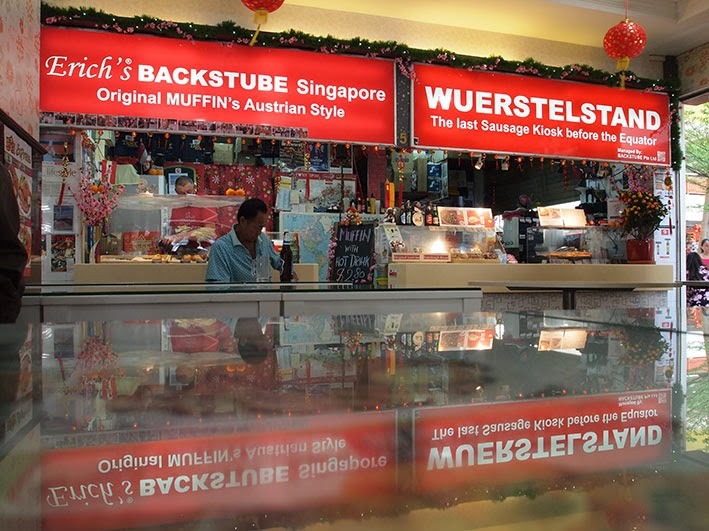 Having not been to Chinatown for a few months, I was surprised to find that Eric's Wuerstelstand was no longer located on Trengganu Street. Imagine my surprise when I found the 'last sausage kiosk before the equator' at the back of a small hawker centre at K88 Coffee House near the Buddha Tooth Temple. I purchased a meatloaf sandwich and a nicely chilled Stiegl Weisse wheat beer to celebrate. Several months ago, I listened to a podcast by Stephen Fry in which he, somewhat surprisingly one might think, referred to grammar snobs as ‘pedants’. Since that time, I have been forced to internalise the distress caused by poor spelling, grammar and punctuation. I tried to look away, but it was only the delight of the sandwich and beer which averted my gaze from the misplaced apostrophe on one of the new shop signs.